Home or Away League Scheduler creates fair round-robin league schedules for any sporting competition, with up to 100 teams per division. Schedules are balanced with equal numbers of home and away games and fair distributions of times and locations. Dates are controlled with a flexible calendar to cater for holidays etc. Using this program you can keep track of how you have done at Horse Shows, Keep a Daily Journal and even build a Photo Scrapbook. You can add unlimited users so your brothers and sisters can use it also. Keep track of the horses you have ridden in each show, the place you came in, the # of riders in the class, the judge, the points earned and prize money won for each class. You can add unlimited Horses, Shows, Classes and Users. Get Your League Schedules Out in Minutes Instead of Days! Don't spend endless hours on league scheduling. 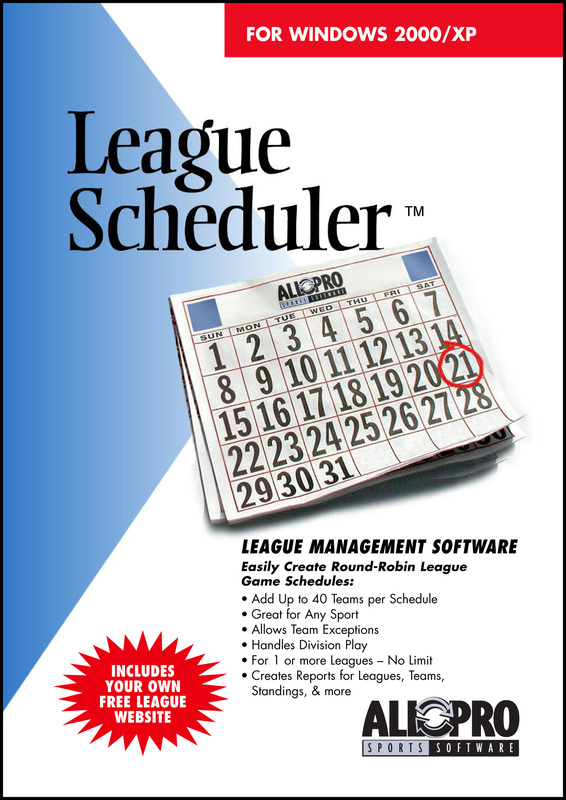 Save time and use our League Scheduler software to create your round-robin or traveling league schedules. Just enter your locations, teams, game times and start date. League Scheduler automatically creates your schedule based on the parameters you've specified. There is no limit on the number of schedules you can create. The ultimate collection of high quality printable materials, related to sports and competitions. You can choose a variety of templates for organizing your tournaments, leagues, trainings and other events. Templates are provided in many formats (Adobe PDF, OpenOffice Draw, SVG, MS PowerPoint, ...) and in many paper sizes and page layouts (A3, A4, Portrait, Landscape, ...). 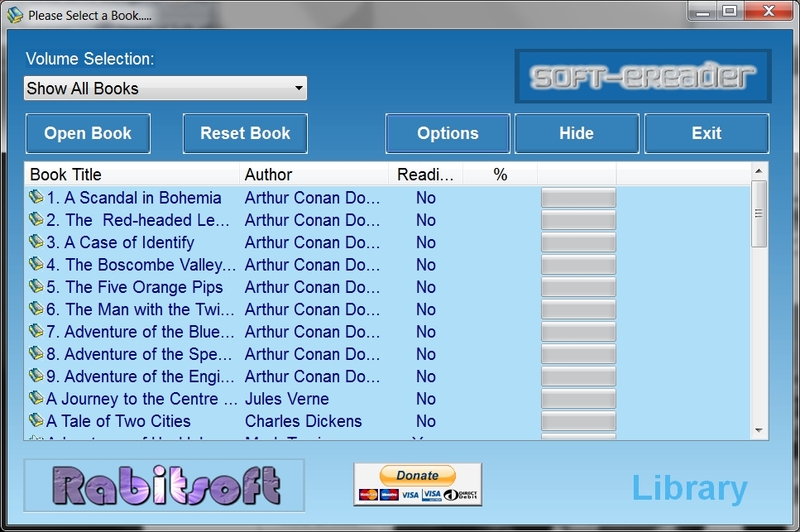 This is Soft-eReader from RabitSoft. It's the FULL Version and comes with the Sherlock Holmes Collection and Journey to the Center of the Earth FREE; Soft-eReader enables you to read your favorite classics on your PC/laptop and gives you the ability the bookmark, print/preview, auto scroll and even show how much of each book has been read. Download more free books collections from www.rabitsoft.co.uk/Download.html NO TOOLBARS!